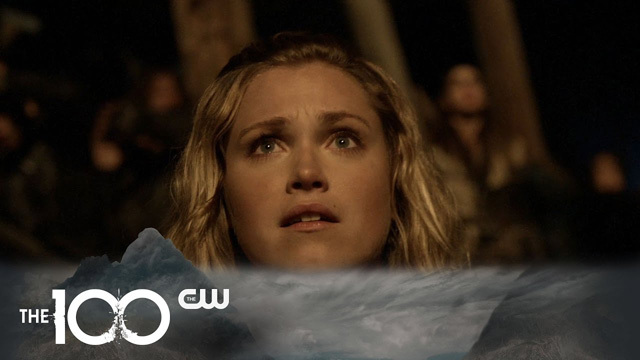 The CW has released the trailer for The 100 Season 4, which will premiere on Wednesday, February 1 at 9 p.m. ET. Watch The 100 Season 4 trailer in the player below! Season one of The 100 saw the human race return, after a 97-year exile in space, to a wildly transformed Earth…only to discover that the human race had never truly left. Clarke found herself forced to lead a band of “disposable” juvenile delinquents as they faced death at every turn: from a world transformed by radiation, from the fierce Grounders who somehow managed to survive in it, and, perhaps worst of all, from themselves. Though Clarke was alternately challenged and supported by rival leader Bellamy, the two found common purpose: survival. Meanwhile, as The 100 fought for their lives on the ground, The Ark’s situation was no better. With the oxygen supply quickly running out, and all efforts to solve the problem failing, Abby and Kane risked everything to bring the Ark back to Earth, while Jaha sacrificed himself, staying in space to ensure their safe return. On the ground our heroes fought just to stay alive, defeating an attacking Grounder army that left them scattered to the wind. In the second season the group was desperate to be reunited. In the wake of the dropship battle, Clarke and most of the other delinquents were taken to an underground facility in Mount Weather. When Clarke escapes alone, it sets off a chain of events for our trapped heroes, the adults on the ground, and even the Grounders. Alliances were made, friendships were broken and justice was served. With everyone fighting for their right to survive, our heroes were faced with a very important question: How far would they go to save the people they loved? Unfortunately for Clarke, the answer was too much for her to handle, as she was left emotionally distraught after killing every Mount Weather resident. In season three, we pick up three months later. The war is over. The battle against Mount Weather has been won. The prisoners have returned home to a world seemingly at peace, but can they find peace within themselves after what they had to do to escape? And is there more to life than just surviving? Unfortunately, their newfound sense of normalcy will be short-lived, and their lives will be changed forever, as threats both old and new test their loyalties, push them past their limits, and make them question what it truly means to be human. First, they fought to survive. Then, they fought for their friends. Now, they will fight for the human race. The 100 stars Eliza Taylor as Clarke, Paige Turco as Dr. Abby Griffin, Bob Morley as Bellamy, Marie Avgeropoulos as Octavia, Devon Bostick as Jasper, Lindsey Morgan as Raven, Ricky Whittle as Lincoln, Christopher Larkin as Monty, Richard Harmon as Murphy, with Isaiah Washington as Chancellor Jaha and Henry Ian Cusick as Marcus Kane.